Astrology - What Is Astrology? 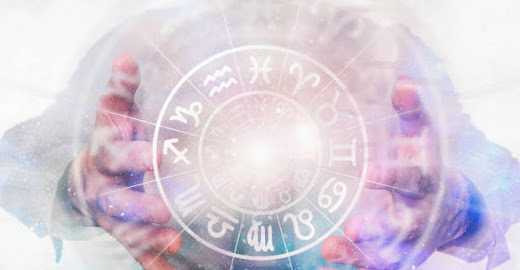 It is not unusual for people to consider astrology as their star signs (the sun signs), what with astrology reports being extremely popular in newspapers, magazines and websites. We have all seen and read our daily, weekly, monthly and yearly forecasts based on our sun signs. Actually, star signs or the sun signs, as they are popularly known, are just one aspect of astrology . Astrology has many more dimensions to it than just the position of the Sun! Astrology studies the interactions between the planets and the signs. The planets include the sun and the moon. The relationship and interactions between the planets and the signs are mathematical in nature. Astrology is a study of these mathematical cycles. It is a common belief among people that astrology can provide answers to everything about their life. People believe that astrology can predict and foretell about anything to happen in their lives. In fact, astrology does not and cannot predict everything about a person. It can be viewed as a philosophical tool to understand our lives. It cannot provide answers to everything. Astrology has been with us since time immemorial. As far back as history can be dated, men have studied the relationships between the planets and the signs to explain various phenomena in our lives. People have studied astrology charts to know more about life and themselves. Every one of the twelve signs in astrology is a unique combination of an element and a quality. Elements represent the basic nature or persona of a sign, while qualities explain their manner of expression. There are four elements – fire, earth, air and water; and three qualities – cardinal, fixed and mutable. Thus there are twelve signs in astrology. Cardinal: The four cardinal signs are, Aries, Cancer, Libra and Capricorn, have as a common trait the impetus to initiate or create, or to counter one initiative with another. Fixed: The four fixed signs are, Taurus, Leo, Scorpio and Aquarius, are inclined to sustain or stabilize what has already been created, or to resist or practice endurance in the face of another initiative. Mutable: The four mutable signs, Gemini, Virgo, Sagittarius and Pisces, take what has been created and attempt to alter or adapt it.